A BIG THANKS to everyone over at theOven.org and the Win8PE SE Project for the great work they have done in helping me create this win8pe disk. I have tried x86 version of the updated PE software which does not pick up WIFI Intel 3945ABG card. Is there a way I can get over this issue. Try launching the PENetwork Icon on the desktop or the the tray. Thank you for sharing this very well compiled disk. I know you have mentioned you might do this in future. It would be really great if you could add NtPassEdit or windows environment password resetting utility. I am using this disk primarly for drive snapshot and resetting passwords. Unfortunately I have not managed to figure out how to add programs / scripts to winbuilder. So if you are not going to implement this solution. I would be happy to give it a try if you share your project files and give me some basic instructions. 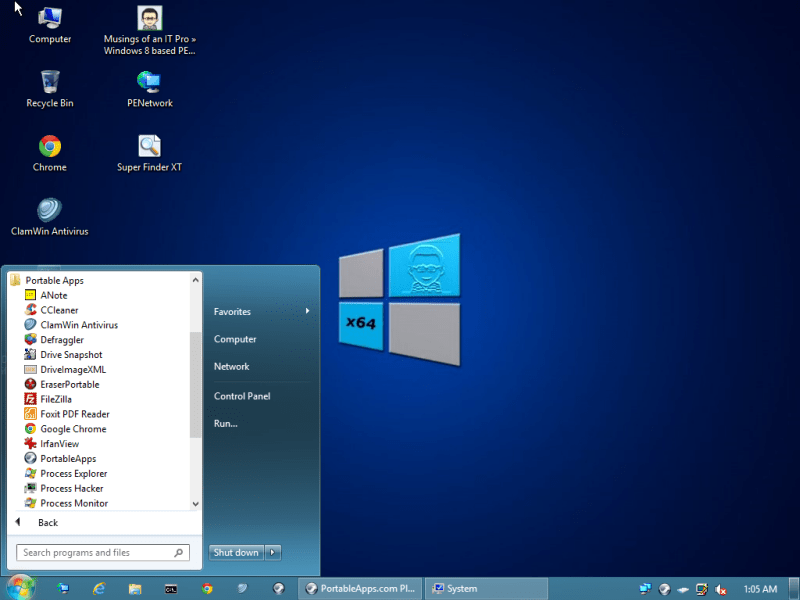 gandalf50, I have been doing some research on getting remote desktop working in winPE but am having some problems. Any assistance or knowledge on the matter that you could provide would be much appreciated. My email is benthecomputerguy93@gmail.com. Thanks! Many thanks for your Win8PE boot disk. By far, it’s the best I’ve seen from a long time. All run smoothly, A charm, I said. Is it possible that a temporary folder is deleted as hiren boot add? I downloaded Malwarebytes and end of the installation (although I used the drive B) threw me out. AWESOME! I have spent so much time looking for a Winbuilder script (that works). I had almost given up hope. The download link is working for me but when it downloads, the zip file is empty. Not sure what is going on..
Ugh, it’s been a long day. Nevermind, i was trying to download both versions at the same time, which apparently doesn’t work. But I got them now after downloading one at a time. Thanks! Could you maybe update the Win Pe 5.0 to 5.1? With this exist WIM image, is it not possible to upgrade it to 5.1, because DISM detects problems in the components. With 5.1, the WIMboot function will be support. WIMBoot is only supported on UEFI firmware with SSD. 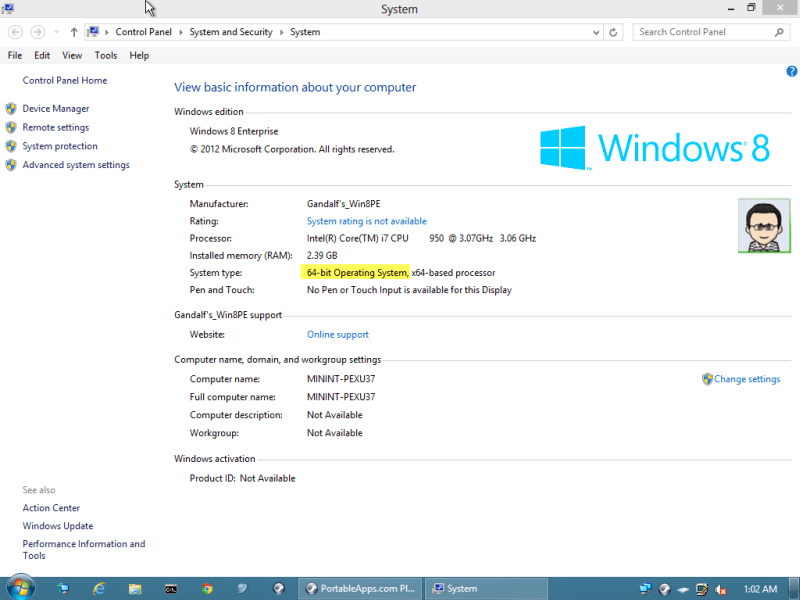 I do no have access to a UEFI firmware and am not using SSD presently. Will look into this down the road possibly. the updates can be also use for the 32bit version if you download the 32 bit version updates of course. I have anyway manage, to have a working windows 8.1 update 1 PE. However I needed to manualy make wims. Beside of that, somehow I don’t get google Chrome in PE working, maybe your versions using a older working version of Chrome. It would be nice if just could strip a Windows 8 or windows 2012 image, and than turn it after installing software in a PE building. Hello, really cool iso! Great work! Do you have a tutorial on how to create my own? I like to include particular NIC drivers and “imagex.exe” from AIK. I’ve been trying this PE and it is insanely slow starting up. Tried both the x86 and the x64 versions. Just doing the autologin could take over 10 minutes. I am using several new laptops with Core i7 CPUs (Dell XPS and Latitudes), as well as some older Dell Optiplex 760 and 780 models, but for some reason, this PE is so slow in all my devices, it is useless. Any ideas? Some Bios’s seem to boot at only USB 1.1 speeds. I would check your bios settings see if there is a legacy setting. I would also try to burn the iso to DVD and see how fast it boots from DVD. ON newer systems it works fine for me booting in 2 minutes or less. Dell Latitude D600 boots at USB 1.1 speed and loads in over 10 minutes. Would this work for flashing a .exe Lenovo BIOS update? I use Linux so this would help a great deal. can you add a low level disk wiper? The one you have works ok for cleaning free space, but it would be really handy we could wipe the whole drive. I normally have to use Dariks Boot and Nuke, but most of the time a simple low level wipe that writes zeros to all the sectors would be sufficient. One question though – if I want to integrate NIC drivers into it ,is there an easy method? Thank you very much for this I appreciate it. I donated as well. thank you for this great live CD, it saved my data today after a crash. It would be great to add Recuva to this CD, so it could be used to boot and recover deleted files by accident. How to add a Recuva, or any other tool into this project ? This is an amazing project, I’ve been using it for quite some time and it’s a life saver. One thing though, I’m not picky, but I need to change the network sharing module in order to access other windows shares and right now I can’t do that without mapping a drive with other credentials. I am not quite sure what you are asking here. Can you be more specific of what you are trying to do. I just want it to ask for username/password. Also – how do I integrate NIC drivers into the pe? In file explorer just enter \\server name\share name and it should prompt for a password. or you can use the pe network manager tool and map a drive from there. If your nic is not being found you can inject drivers into the wim file offline using dism. i have done the \\ in accessing the shares. That’s when I get the error. And as I said – mapping it with different credentials work, but I would love for it to work with \\ . I think it has to do with the LocalAccountTokenFilterPolicy key. That’s how I fix it with regular w8’s. 1) My current goal is to use for tenants to ideally only access our payment website and not be able to store stuff on the HD or get virus or malware … any thoughts or recommendations how to best do this? I downloaded Gandalf’s Win8PE_x64.ISO. My granddaughters’ laptop won’t boot. My grandson burned it on a USB drive and put it in the usb port. It starts, but then turns to a greyish black screen and gets stuck. I suspect she has a mbr virus. Any suggestions are much appreciated. I live in KY and she is in NH. I help by phone whenever they run into PC problems. Unfortunately it is. 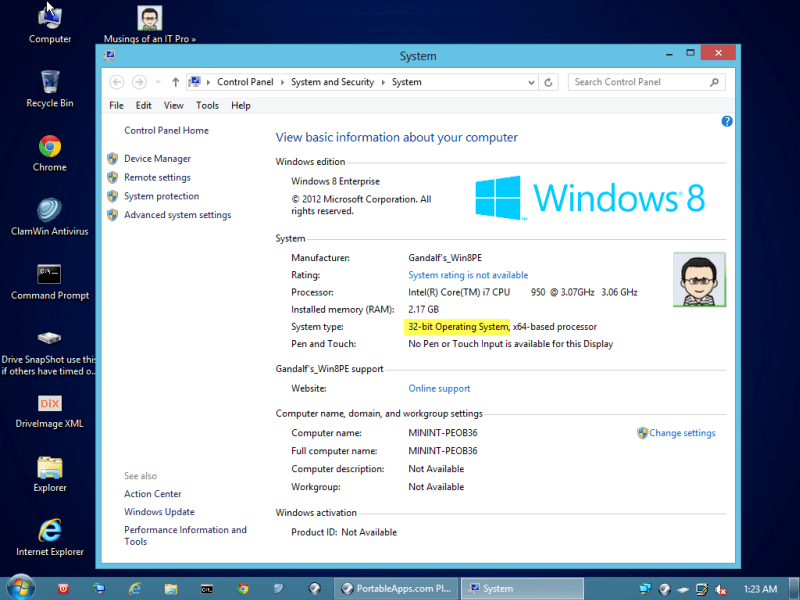 It runs win 8.1.